i am looking to sell this and haven't found any for a cost comparison... if anyone can give me an idea of what it may be worth, help would be greatly appreciated. thank you! It's worth whatever people who know about these cars are willing to offer, either here in our BST Forum or other markets. Is it mint in the box, unopened, and un-run? Can you post a picture? These are the first questions you'll find people asking. i think it is the car pictured below. you can check ebay for pricing, but be aware that there are a handful of sellers that think every fly car is worth $120. because of this, i'd avoid looking at the "buy it now" listings. the only prices that matter are the prices on cars that actually sold. you can always do an auction here. or a reverse auction where you start high and then lower the price by a set amount each day until the car sells. definitely post a picture of the actual car, along with the condition, whether the case and blue card are intact, etc. these are important to many fly collectors. i could care less, i just like to run them. Last edited by boopiejones; 04-20-2012, 08:41 AM. you can always do an auction here. or a reverse auction where you start high and then lower the price by a set amount each day until the car sells. definitely post a picture of the actual car, along with the condition, whether the case and blue card are intact, etc. these are important to many fly collectors. This is great advice, and a reverse auction would be a good way to go for a car that's hard to set a price on. Fly values have been volatile lately -- very hard to pin down. If I were selling this car, I'd start at 100 dollars (for a new in box car that's never seen the track, complete with the case and blue card), and drop it by 5 dollars every other day. This car is potentially (but unlikely) to fetch over 100 dollars, so 100 seems like a safe starting point. Last year I bought one of those from an SCI advert for $55 that included US shipping. It was also brand new. But that was last year, and it would be pretty surprising if there are any more of those around. The moment something becomes 'no longer available', things get tricky. That is true, but last year the car had still been out of production for, I believe, 5 or 6 years or more. Often even unused slot cars do not bring the sort of prices we hope they would. As buyers, we all have our price-point and I know I have frequently passed by something until one comes into my range. 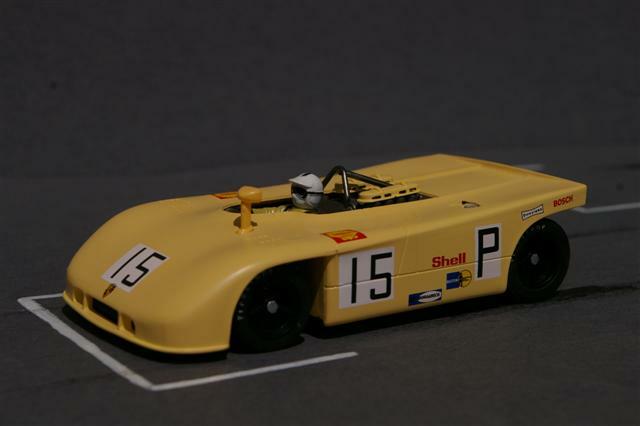 Often even unused slot cars do not bring the sort of prices we hope they would. Would you go for a reverse auction as well, maybe with a lower starting point? thanks for all your help so far guys. i cant post a picture at the moment but i can asap. the car is new, the blue card is in perfect condition, the car has never been taken off of the base and the clear box cover just has the normal scuffs it got by being handled. i am new to the forum so any help on how to go about this reverse auction would be great. Just my opinion- but with minimal sorting and a proper tire choice, these Fly 908/3's are an absolute blast to drive on a routed track. I would think that is worth something in itself. Basically, you would follow Kurt's advice (ElSecundo, see previous posts). Offer the car for a certain price - $100, for instance - then if you don't get any takers, reduce your asking price a couple of days later to $95. And so on, until you reach the point where you've either sold the car, or decided to keep it as it's of more value to you than what folks are ready to pay. If you take a picture of it of reasonable quality, but can't figure out how to post it, send me a PM and I'll help you out via personal email if necessary.